One thing I like about having trips in the beaches is to witness how it looks like during sunset hours. As for Puerto Galera white beach, it's always a quick weekend trip from people who lives and works in Metro Manila. being that its easily accessible from Batangas Pier. My first trip here was during the first team building with my co-workers almost 5 years ago. On my first time, I was surprise that Mindoro is keeping a place like this one. 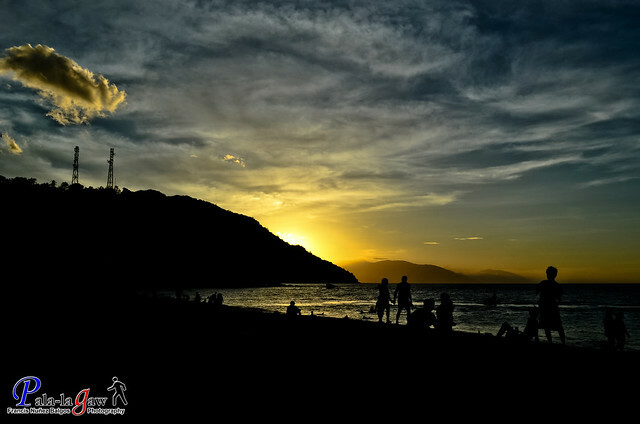 And the first experience of Puerto Galera sunset was spent swimming in its cool waters and watching people enjoying the walk on the beach. Its a nice change from working on a corporate office. As was this January of 2012, these pictures where again taken on another Team Building roughly translating it to outing with office friends. After five years of being the Manila Boy that I became, Puerto Galera never went off my list of being one of the prime weekend getaway. I sure hope these pictures I took at different exposures and time on sunset will tell you why. The sunsets on this beach is almost always glorious, something I have come to expect on every trip. 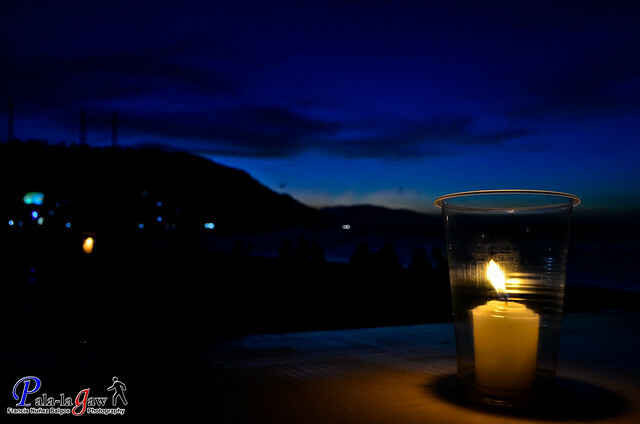 Just either lounging on the sandy beach or having a drinking session with friends along the beach bar toasting on Mindoro Sling while watching the sky turn from bright blue, to yellow, to having purple streaks going to deep dark blue. It's always fun to watch it while also trying to get drunk by the beach. These photos where edited without me touching up the dials for saturation, but just adjusting the exposure and tilting the sharpness. They almost look the same as it shows from the LCD of my camera. Beautiful sunset and great shots! 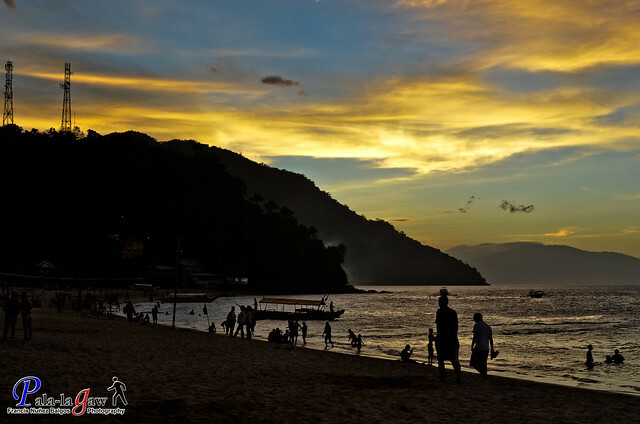 This made me missed Puerto Galera all the more! beautiful sunset indeed. that photo with a candle in a glass is perfect. kudos! my first snorkling experience was in Puerto Galera.. how i miss this place.. The hues painted in the sky are truly magnificent. Lovely captures. Very nice post as always. Ang sarap balik-balikan ang mga photos mo dre. I love your photos Francis! You ought to teach me how to angle my shots too! Best regards and more power to you and Gabz! Wishing more travels for all of us~! Puerto Galera has a special spot in my heart because it was the only place where my papa, mama, kuya and I had a bonding na buo kami, and di na mauulit yun kasi nasa heaven na si papa at mama. Some bloggers I've been following has been to Puerto Galera for more than five times now while I haven't been there since I was born XD. luv the emotions in your photos francis, ganda ng kulay! Ang ganda ganda ng mga shots! Especially the 1st and the last one.. Love it!! 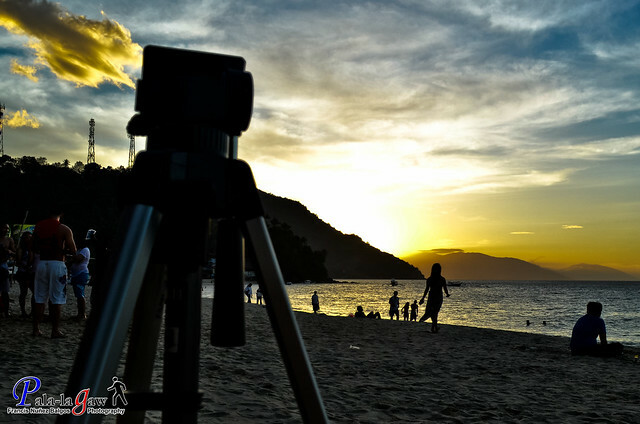 Naturingan pang malapit sa Manila yang Puerto Galera pero yan ang isa sa mga places na hindi ko pa napupuntahan.. Hopefully this year may chance na kong makapunta dyan..
Beautiful pictures! I've not been to Mindoro!!!! sana ang mag team building laging ganito. Hindi puro sa bar at inuman. haha. Astig nung Sunset pic. I love sunrise and sunset I used to live in the South of Mindanao almost every I can see the sunrise. But the are few times I can see the sunset only when I go to Samal Island over-looking the entire city of Davao with beautiful sunset. And you can see the Mt. Apo. It's stunning! Yours are classic! Sadly, I have never been to Puerto Galera.